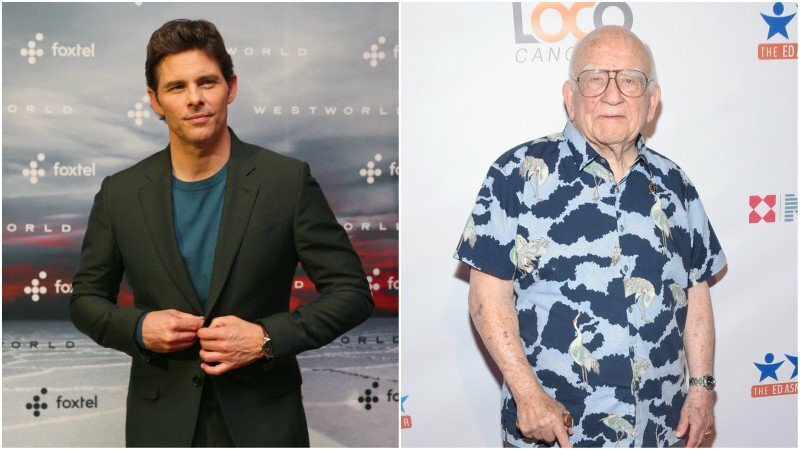 Deadline reports that the Netflix dark comedy Dead to Me has landed James Marsden (Westworld, X-Men) and Ed Asner (Up, Elf) as co-stars. They’ll join the previously announced Linda Cardellini and Christina Applegate. Applegate will also serve as an executive producer on the show, along with Will Ferrell and Adam McKay. The three will produce along with Jessica Elbaum (I’m Sorry) of Gloria Sanchez Productions. Mckay and Ferrell have been involved in creating all kinds of content lately, from HBO’s business drama Succession to CBS All Access’ No Activity. They are also set to work with Netflix on the upcoming musical comedy Eurovision, which will star Ferrell. For Netflix, getting the highly sought after but highly selective Applegate to return to TV is a big win for the high paying streaming service. She has not starred in a series since NBC’s Up All Night, following her work on Samantha Who and Married With Children, but has consistently made big movies like the Anchorman and Bad Moms franchises. With star power like Applegate joining names like Ferrell and Mckay, Netflix is betting big on the dark comedy. The post Dead To Me Lands James Marsden and Ed Asner as Co-Stars appeared first on ComingSoon.net.